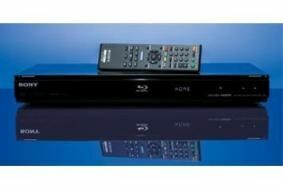 HOT DEALS: Blu-ray player bargains at Richer Sounds | What Hi-Fi? The Award-winning Sony BDP-S360 is now just £104.95, and our 2009 Product of the Year, the Sony BDP-S760, is on sale for £269.95. If your budget is under £100, you can have a Samsung BDP-1580 for just £89.95. And don't forget Richer Sounds now has the much-anticipated Cambridge Audio 650BD universal player for £399.95. We'll be testing it in the April issue of What Hi-Fi? Sound and Vision, on sale March 10th. Richer also hopes to have stock of the new Humax HD-Fox T2 Freeview HD set-top box later this month. We'll be testing that in our April issue too.